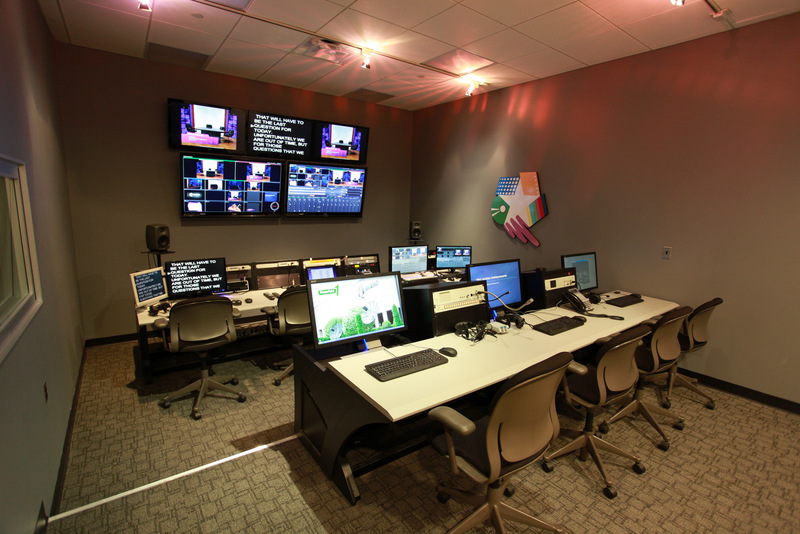 Our HD control room is equipped with two 52-inch and three 32-inch LCD displays for monitoring up to eight inputs, including Skype, Powerpoint computers, Apple AirPlay devices, and more. This is all piped through our Tricaster 860 switcher and recorder, capable of iso-recording up to eight sources at a time. We also have a Tricaster 455 Extreme for smaller shoots. This room connects to Studio A or Studio B. The separate audio control room is equipped with a voice-over booth for recording or live announcing, with the ability to mix live-to-tape or record to hard disk. 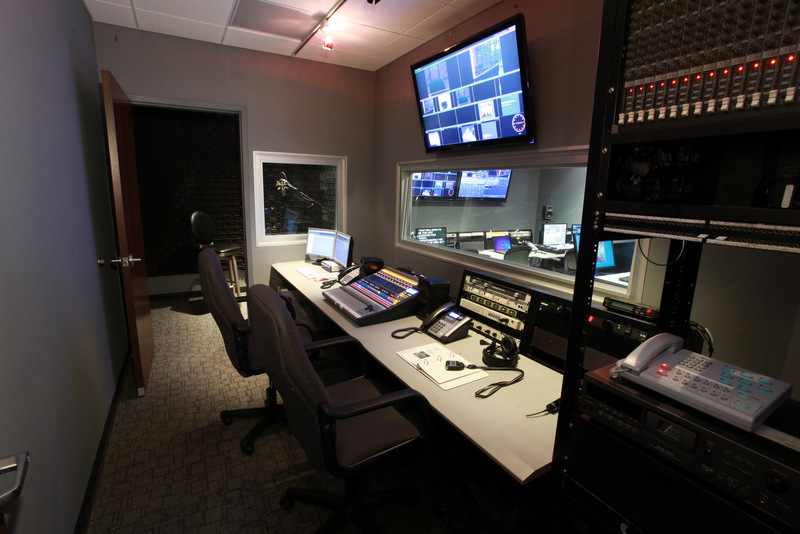 Audio from both studios is routed into the audio control room along with a variety of wired and wireless mics. All of this is routed to a 24-channel PreSonus audio console. The Gentner Phone System allows us to record and patch phone calls to and from the mixer. We can record incoming calls or send their audio into the studio for Q&A sessions, round-table discussions, or talk shows. Program audio can also be sent to a phone bridge for content delivery back-up or translation services. From streaming live to a large, remote audience or to your corporate office, we have innovative ways to reliably stream where others have had technical limitations. Audio control with record & playback, VO booth, wireless mics, IFB, and Gentner phone system.